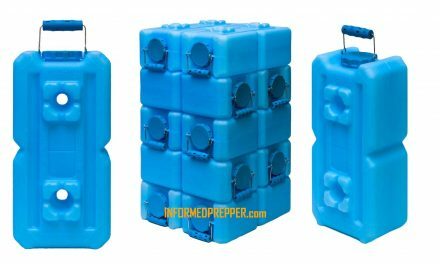 Why I Wrote Prepper Guns by Bryce M Towlsey – A few years ago if you mentioned “prepping” it was easy to spot the rolling eyes and the hidden snickers, but they are a lot less common now. Prepping went from fringe, tinfoil hat territory to mainstream pretty fast. I still believe that the grown-ups will take charge again and turn us from the path to disaster the world is currently racing down. If so, we preppers will have some first world problems; like too much food. I can deal with that. But if the world does fall apart, those who prepared are going to be in a better place. I have lived rural and poor most of my life so this is easy. I come from a family that has always been self-sufficient, able and equipped to fix or build things. I am a hunter, fisherman and trapper. We raised and butchered livestock. We planted huge gardens, foraged in the woods for edibles and preserved them. 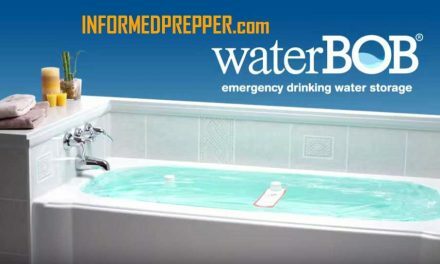 We thought we were just poor, but it turns out we were preppers. I guess you might say we were ahead of the curve. A few years ago I was working on a novel called “The 14th Reinstated.” The setting was pretty much our worst fears, sometime after a total and world-wide social and economic crash. In working out the plot scenarios I delved into some dark subjects. I explored topics that most polite and civilized people simply won’t think about. I peeked under the tent that hides the reality of what is going to happen if it all shuts down and what I saw was terrifying. It became very obvious to me that the most important thing any prepper can do is protect what is theirs. You can be the best prepared person in the world, but if you can’t keep it, it’s all pointless. If the collapse happens there are going to be millions of people who did nothing to prepare. Many of these people live off the “system,” which means they expect the lights to be on, the water running, the sewers working and the grocery stores to be stocked. They have no self-reliance skills and have their heads buried so deep in the sand that any crisis will catch them completely unaware and unprepared. They will have no idea of how to cope and panic will be their first reaction. Most of them are probably good people. People who play by the rules, go to work every day, pay their taxes and would never think about taking something that does not belong to them. But what happens when the system they depend on, the system they have total faith in, fails? What happens after everything grinds to a halt? Perhaps they have been forced out of their homes. They are lost, disillusioned, hungry and scared. These people are desperate. Now suppose they discover you have food, water, shelter and medicine? I know it is harsh and brutal to think about, but how are you serving your loved ones by giving away all the food, equipment and medicine that you put aside for just such an emergency? It won’t take long before you are in the same sinking boat as all those people who didn’t prepare. Those people will not just go away. Even if you are isolated, at some point bad people will try to take what you have by force. If they succeed and you are still alive, again your preparations will mean nothing. You and your family will likely not survive. It’s horrible to think about, but you really have only two options. One is death. The other is to defend your life, your property and your family. In my mind, the ultimate “prepper” book is one about the guns to do all that. Without a way to defend your preparations, what’s the point? So that’s the book I wrote. It’s not a book about strategy, battle tactics or how to build a remote wilderness compound. This is a gun book, a book about the tools to defend yourselves, your loved ones and your property. It looks at the diversity of firearms, ammunition and accessories currently available to United States citizens and explores the pros and cons of each. This is a book for those who have chosen to take personal responsibility seriously; a book for those who understand that they alone are responsible for their own future. It’s an aid in helping to decide how you will prepare for that future. If you are serious about prepping, you need this book. Lots of other books can tell you how to prep; only this one shows you the way to stay prepared. Food, water, and shelter are very important to survival. But you must also be ready to protect what is yours, because if somebody stronger, better prepared, and better equipped takes it all away, you will die. Your family will die. The only way to protect them is with firearms. 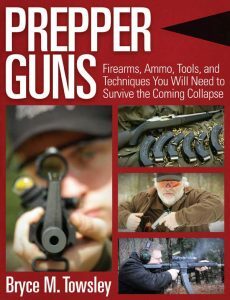 Written with the law-abiding civilian in mind, Prepper Guns covers the firearms and tools needed to survive, not only for defense, but also for foraging. It is a comprehensive look at the realities of the firearms a prepper should have. 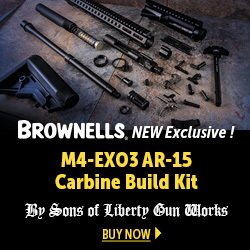 Written by Bryce M. Towsley, a firearms expert and a full-time gun writer with thirty years of experience, it steps away from the “conventional wisdom” that is often spouted by prepper publishing and takes a hard, honest, look at the reality of the firearms, ammo, tools and training needed to survive at home and on the road. 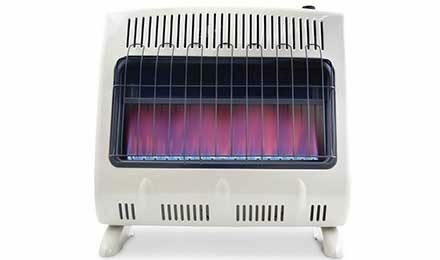 Prepper Guns takes a careful look at each category of firearms, ammo, sights, and accessories. Other topics include gun care and maintenance, as well as some simple gunsmithing and reloading to keep firearms repaired and ammo on hand. 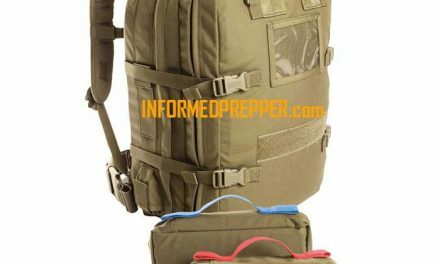 Finally, Prepper Guns has training suggestions and drills, plus a look at the psychology of survival, using the expertise of some of the top people in the world in these fields. If you are worried that bad things are coming and are trying to prepare, this book is the most important piece of gear you can buy. Because if you can’t protect your family, your food and your home, nothing else really matters.